British artist, DJ, producer, technician, and musician. Born: 18 August 1971 in Limerick, Ireland. Hailing from Cornwall, England, he is one of the most prolific and experimental producers of his generation, often cited as a founder of so-called IDM dance music, and a pioneer of electronic music production technique. Well known as co-owner of eclectic dance music label Rephlex. 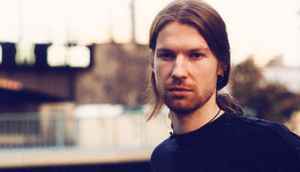 Allegedly, his son also produces music, released as files tagged with the name "AFX Jnr".